Rare 3 bedroom, 2 bath condo with 2 car attached garage in Cherry Creek Schools. Adjacent to golf course, green spaces and trails; steps from the door. Living room w/ gas fireplace, dining area w/ slider opening to private patio and deck. Kitchen with updated stainless steel appliances. Laundry hook-up in unit (washer & dryer NOT included). Main floor bedroom w/ en-suite bath. 2 bedrooms upstairs; master has vaulted ceiling and private sink/ vanity area; tandem bath shared with 2nd large bedroom. Loft area makes a nice home office. 2 car attached garage. Unit has replacement windows, new electric panel box and new roof. 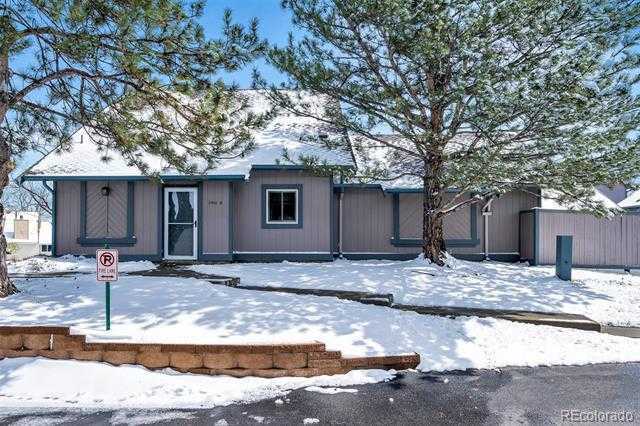 Please, send me more information on this property: MLS# 3112527 – $280,000 – 2450 South Worchester Court Unit A, Aurora, CO 80014.